The best translation software available today, allowing you to translate any word that comes up on your screen instantly! Babylon caters both private and corporate users, offering different solutions to different needs. The best free translation software, offering translation at a click of anything that comes up on your screen! All of the translation features available are available for the corporate user, including simple and silent deployment. The enterprise solution offers data retrieval at a click from your very own data warehouse, with optional translation features. 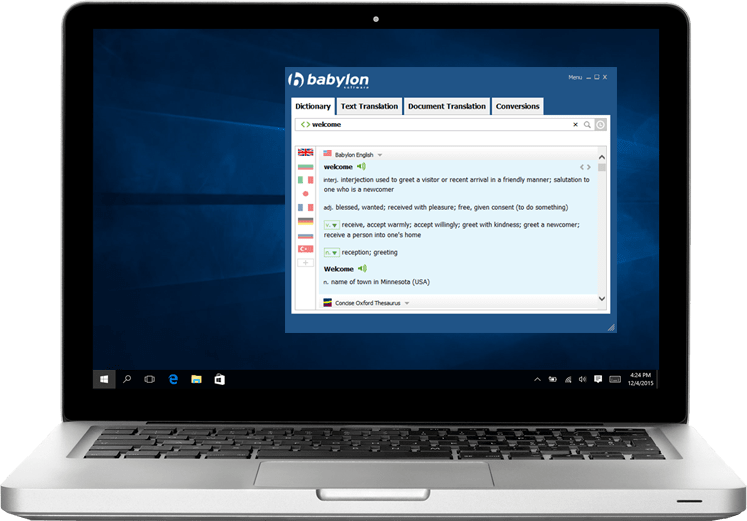 Simply point your mouse at a word that appears on your screen, do the babylon click and the translation will appear instantly! 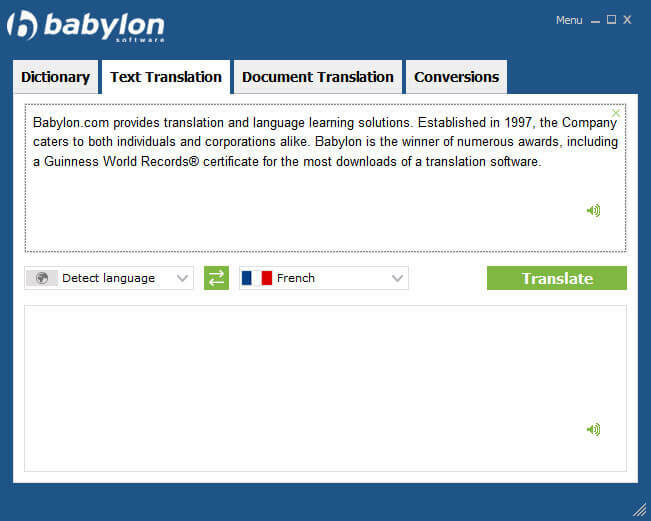 Babylon supports the translation to and from a selection of up to 77 languages! All the latest information from Wikipedia is now made accessible at a click! The below screenshots show you the screens for the free term translation as well as the premium full text and formatted document translation. There is no need to switch screens, change applications, or even copy and paste. 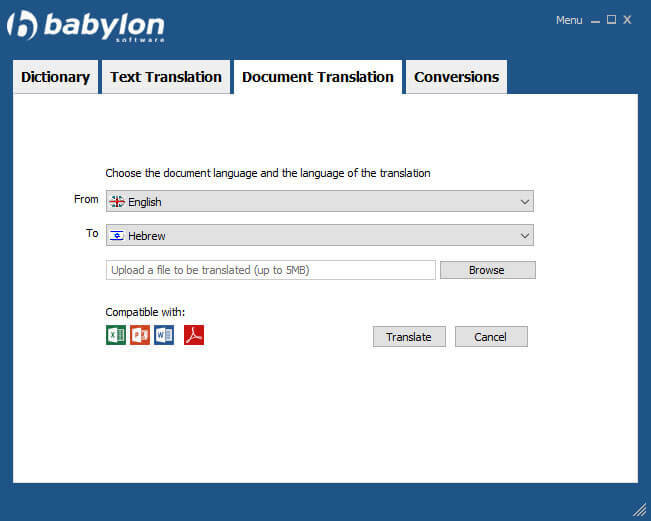 With Babylon, translation is always only a click away. Whether it is a report for your next meeting, or a paper for school, you can quickly have all of your documents translated while maintaining their original format. Our advanced text-to-speech technology allows you to hear any text read in a natural sounding voice. Now, you won’t just know the right word to say, you will also know how to say it. Follow us on social media to make sure you get all the latest updates, tips and offers. 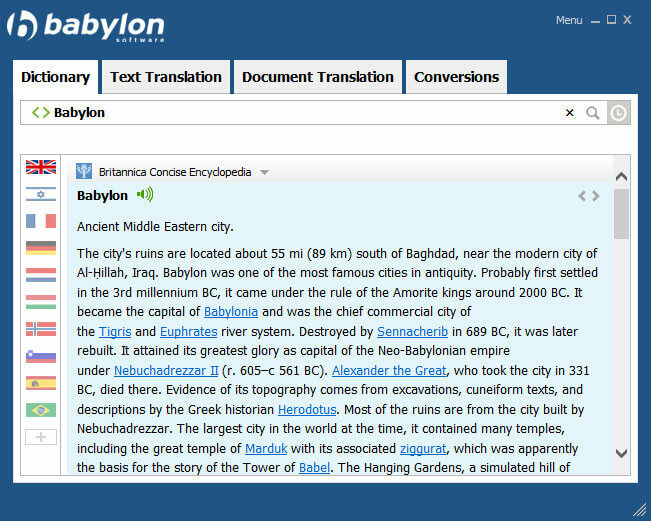 The babylon version available for download or purchase through the website is for private use only. For commercial or business use, please click here.